Harry: Ya, but you can't do the shuffle with one leg. You and your wife, in fortunate. Now I'm not talking about you and what you do but some folks that always run to help the victim, deep down are attracted to pain and suffering and love to be near the dying. Junior: All the people working with us are really doing it 'cause they hate to see suffering. Harry: You never know what's in the heart and just because you can cry doesn't make you human. The great thing about this film is that it is totally free from B-Movie material, this film has A-movie material in it. 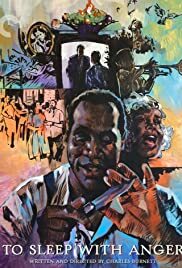 Charles Burnett is an excellent director, he knows how to make a unique film. 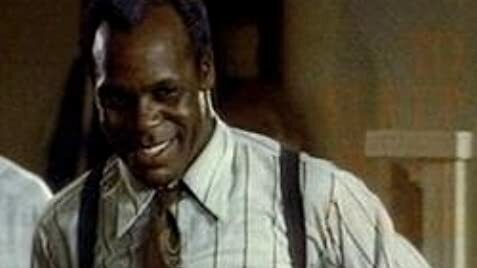 Danny Glover is the best part of this film, followed by a string of fine performances. There is no shootings or people getting killed, just happy family life. This film is very unforgettable in the way that there is no other film like it,and that's always a good thing. I am so sick of seeing Hollywood trash, all they care about is money and fame. This film is a genius, you never get tired of the film because of it's caring message. The other thing that is great about this film, is that it is totally free from B-movie material, this film has A-movie material in it. Charles Burnett is defenity a talented director, I just hope he can make more films like this gem. I give this film a 10 out of a 10 grade. :::::::::: top movie"